I WAS introduced to Kampung Bagan Sungai Tengkorak many years ago when a friend took me to a little known seafood restaurant there. 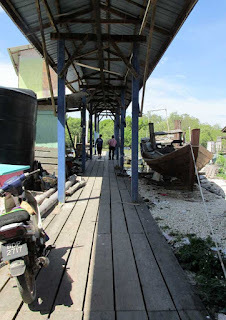 At the time, I did not think much about Bagan Sungai Tengkorak and had forgotten about the restaurant was or how to get there, let alone how the fishing village's ominous name came about. In fact, I had earlier thought that the fishermen's enclave, seven kilometres north of Tanjung Karang, was probably a pirates' hideout, hence the name. Recently, while heading for Sekinchan to look for scenery to paint, I passed Kampung Bagan Sungai Tengkorak, better known as Bagan Tengkorak, again. This time, a sign by the road that read Jalan Jepun (Japanese road) caught my curiosity, which took me on a detour into the village. Jalan Jepun, which ran parallel to Jalan Bagan Tengkorak, looked more like an orchard or plantation of sorts, with traditional houses spread out far apart amid patches of oil palm, tapioca and banana trees. The 1.5km tarred stretch was just enough for two cars to pass each other. The only indication of the road's identity was that lone signboard I spotted earlier beside the Kuala Selangor trunk road, plus a couple of address signboards just outside some houses. I drove all the way into the village amid more oil palm holdings to find myself in a small settlement of houses on stilts along an almost hidden river bank. Most of the folks here were Chinese families. The houses along the riverbanks, which were built on stilts, were linked with a timber boardwalk that also led to a few jetties. I spotted a Johor-registered fishing boat that was moored nearby. Curious, I asked a man who had just returned from sea at the jetty. The man, who was in his 40s, told me that the fishing boat was brought from Johor and is currently undergoing maintenance work. 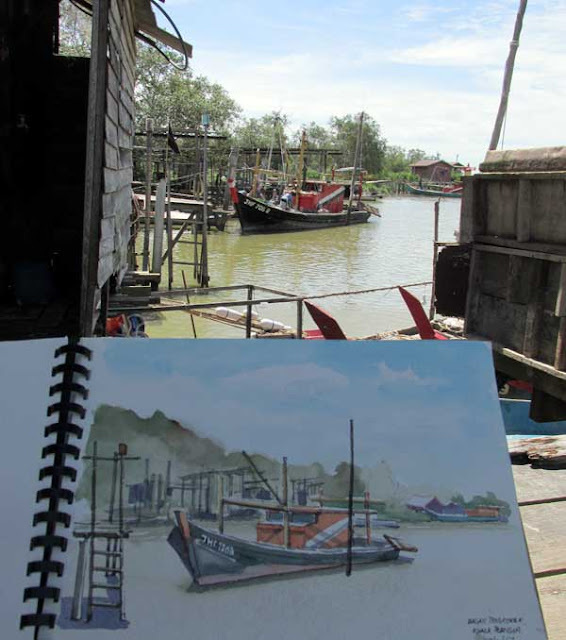 I asked for the man's permission to paint the boat set against estuarine scene from the jetty. The man, who introduced himself as Chia, said I was welcomed since the jetty was not busy as big waves had prevented the fishermen from going out to sea. As I was working on this scenery, a few locals came to watch. One of them was a Malay man about 70 years old. Having struck up a conversation, I asked if he knew why the river received its fearsome name. According to him, his grandfather told him that the name came from the atrocities committed by the Japanese Imperial Army during its occupation of Malaya between 1941 and 1945. Prisoners were beheaded along the river and their heads were spiked on stakes to be displayed there. For years, before electricity arrived, he said, people claimed to have seen apparitions of soldiers marching to the river during the wee hours of the morning. Jalan Jepun, he added, was called such because it was there that most of the Japanese soldiers were located. Later, when I spoke to the headman of Bagan Tengkorak, Heng Seng Soo, a different story was unveiled. Heng said that the village had been almost a century old. According to his story, the name Sungai Tengkorak was given by the early settlers in the area, which comprised the Malays and Chinese. Those days, the only way to get to the village was by boat and according to a story, he said, when the boatmen were about to enter the estuary, they saw skulls along the beachfront. "Because of that, the river was nicknamed Sungai Tengkorak and the village, Bagan Sungai Tengkorak, and bagan meant "quay" in English. Kampung Bagan Tengkorak is today occupied by about 40 Chinese families, with most of them living along the river banks near the jetty. About 95 per cent of them are from the Chia clan," he said. 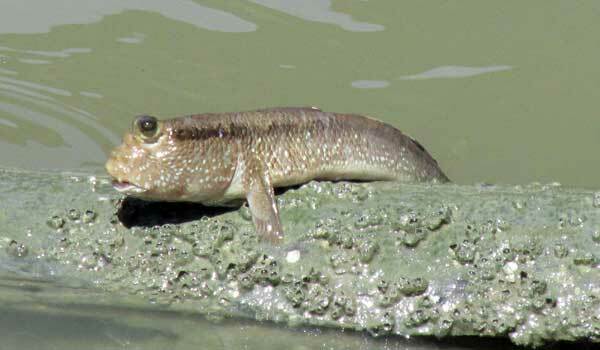 "Unlike the old days, however, only a few families remained as fishermen today. The fishing fleet, which was much bigger many years ago, only has six fishing boats now." Despite its ominous name, Bagan Tengkorak has over the years become is a very popular destination for weekenders looking for some quiet. Seafood lovers also flock to the only restaurant here on weekends. Just a short distance away from the restaurant is a Chinese temple which comes alive during the resident deity's festival. A cockle grading factory is also a stone's throw away from the restaurant but unfortunately, when I was there, it was closed. Sungai Tengkorak also attracts anglers, particularly prawn hunters. Within the river are lairs of giant freshwater prawns or udang galah that will make heads turn, so I was told. Some of the more enterprising fishermen, instead of depending entirely on fishing, also organise fishing charters to take the fishing enthusiasts out to sea. Between November and January annually, the mangroves of Sungai Tengkorak becomes temporary homes to visitors of the feathered kind. Migratory birds such as sea eagles, herons and other sea birds make their stopover in the swamps to meet and mate. ACCORDING to a story some years back, the Japanese army, during its invasion of Malaya, chose to set up camp at Bagan Sungai Tengkorak because they had mistakenly believed that the area had abundant food supply after noticing areca palms growing wild in great numbers there. Thinking that the fruits of the areca palm were edible, the soldiers forced villagers to gather the areca nuts (pinang) for them. However, when they found out that the nuts were not only hard but also bitter and could not be eaten, raw or cooked, they punished the collectors. A story has it that the prisoners were stripped naked and tied to areca palm trunks. Fire ants' (kerengga) nests were thrown at them, unleashing the fury of the ants. Some of them, who did not die from the ordeal, were beheaded and their skulls thrown into the river.